Consider the TDI model of the 2013 Audi A3, as the diesel versions tend to hold their resale value better and have a reputation for not only high mileage but also longevity. The 2013 Audi A3 wears its age well, and remains a sporty, versatile choice for compact hatchback buyers who can afford a little luxury. In its last model year before a complete redesign, the 2013 Audi A3 betrays its age mostly in its lack of noise suppression and outdated infotainment offerings. But it remains a stylish, luxurious compact hatchback that handles well, conveys the prestige of the four-ringed badge, and offers one option none of its competitors do: a fuel-efficient turbodiesel engine. This is the current A3's eighth year on the market, but its design is all but timeless. Some of the softer curves may appear dated from certain angles, but the upcoming replacement doesn't look much different in proportion--its lines are crisper--so the A3 carries its years well both inside and out. The optional big alloy wheels especially give it a sporty character that suits the Audi brand. The standard A3 engine is a 200-horsepower, 2.0-liter turbocharged four, which feels eager and doesn't need to be revved sky-high to deliver its considerable power. Our own favorite, especially for highway travel, is the 2.0-liter TDI turbodiesel four, which puts out 140 hp but oodles of torque. A six-speed manual is offered with the gasoline engine, but most A3s will come with Audi's excellent S-tronic six-speed dual-clutch gearbox. If you want the quattro all-wheel drive system, it's only available with the gasoline engine and the S-tronic automatic, though. The TDI diesel is the one for fuel efficiency, with a 42-mpg highway rating and a combined 34 mpg EPA rating. Many TDI owners report real-world results that exceed the EPA numbers, so it's possible that the diesel A3 could be half again as fuel-efficient as the gasoline models, which are rated at a combined 24 mpg--a low number these days for compact hatchbacks of any ilk. Roadholding is good, as you would expect from an Audi, despite light and somewhat numb electric power steering. The optional magnetic ride system boosts ride comfort without compromising handling, and either version feels maneuverable and quick from behind the wheel. Highway cruising is relaxed, too, making the A3 a fun and versatile all-round vehicle for city dwellers who travel. Inside, front-seat occupants will enjoy the standard leather upholstery, though the seats lack side support and sit quite low in the cabin. But rear-seat riders may find space somewhat cramped. Carrying four adults will require negotiations to keep the front seats far enough forward to accommodate long legs in the rear, and headroom isn't particularly generous either. While it's not Audi's most recent design, the instruments and control layout remain functional, stylish, and luxuriously trimmed. The aging A3 shows its years in its lack of noise suppression, and it's now sufficiently dated in that respect that you should test-drive the car at a variety of speeds to see if you're comfortable with the noise level. 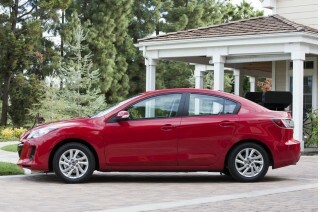 It's not painful, it's just greater than almost any other compact car at any price point. The standard suspension can be rough over jarring potholes as well. Standard features on the entry-level A3, which is fitted with the gasoline engine and six-speed manual, include the leather upholstery, keyless entry, fog lamps, automatic climate control, and a sound system putting out 140 Watts through no fewer than ten speakers. One step up is the $2,000 Premium Plus package, which bundles in LED running lights and xenon headlamps, a power adjustable driver's seat, audio controls on the steering wheel, Bluetooth integration, larger alloy wheels, and ambient LED lighting for the interior. Then there's the options list, which includes a premium sound system from Bose and an in-dash navigation system (now feeling slightly dated itself). Audi even charges for the cable to connect your iPod into the stereo system--a reminder of the car's age, not to mention a disconnect with what buyers at all levels expect from any 2013 car. The luxury compact hatchback segment is a tiny niche, with only the very different Lexus CT 200h hybrid hatchback competing directly against the A3. 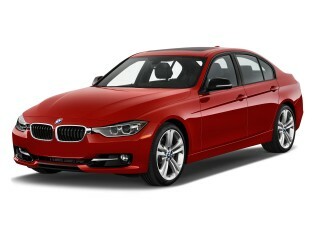 While it starts at less than $28,000, it's possible to pay more than $40,000 for a high-end all-wheel drive A3 model. At that level, the smallest Audi competes with many larger and newer vehicles--which may be why it's always been one of Audi's lower-volume models. We look forward to next year's model. It's getting on in years, but the 2013 Audi A3 holds up well inside and out and hardly looks outdated. Considering its age, the hatchback styling of the Audi A3 has worn very well for almost a decade now. It's the smallest Audi sold in the States, but while its lines aren't quite as crisp as those of new sedans sporting the four rings, neither does it scream "old and outdated" inside or out. 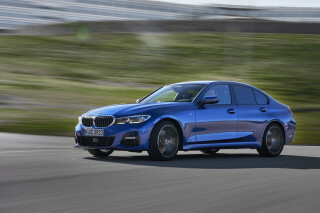 And its successor, planned for the 2014 model year, won't be a radical departure but rather a through update--albeit with an entirely new platform and running gear. Fans of Germanic design and sportiness will appreciate the features added in 2010 from the formerly optional S package, including aluminum trim, a roof spoiler, and changes to the front and rear bumper fascias. Compared to other compact hatchbacks, the Audi A3 simply looks more macho. Its one exterior drawback is an extended roofline and third side window--to distinguish it from the Volkswagen Golf whose underpinnings it shares--that makes just a little too long to be a harmonious hatchback, but too short as a wagon. Inside, chrome-trimmed round ventilation grilles and sensibly arranged buttons contribute to the efficient Teutonic air. Certain design elements may look dated to style aficionados, but it remains an upscale and luxurious place to spend time against competitors at the low end of its price range--which is to say, somewhat under $30,000. Precise controls and tight handling make the 2013 Audi A3 a driver's car, let down only by the electric power steering. 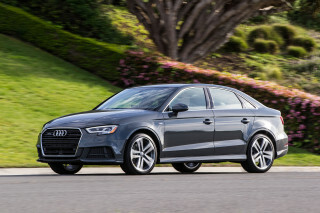 The two engine choices for the 2013 Audi A3 give the model two quite distinct personalities. The base engine, a turbocharged gasoline 2.0-liter four, is all about performance--and the only one available with a six-speed manual gearbox. You can also choose Audi's "S tronic" six-speed dual-clutch transmission, which brings 0-to-60-mph acceleration down to 6.9 seconds (the manual takes 7.1 seconds). Remarkably, even with the added weight of the quattro all-wheel drive system, the version with four driven wheels is the fastest of all, knocking off the 0-to-60 dash in a quick 6.7 seconds. 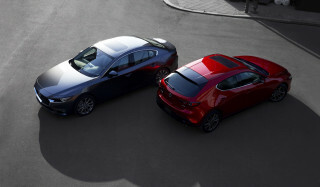 The other engine option is a 2.0-liter TDI turbodiesel, a unique offering among the small world of luxury compact hatchbacks. It's slower than the gas engine, but delivers far better fuel economy, not to mention the enormously enjoyable off-the-line torque (236 pound-feet at just 1,750 rpm) that's characteristic of most diesels. It's available only with the S tronic gearbox: no manual gearbox, no quattro version. Behind the wheel, the Audi A3 is a pleasure to drive in most ways. Controls are direct, inputs can be light, and the ride is refined--doubly so if you go for the optional magnetic ride system. It uses an electric current to charge a magneto-rheological fluid in the shock absorbers, allowing them to adapt to changing road inputs within just milliseconds. Depending on the driver's choice of Normal or Sport modes, the system can change the character of the car from a soft boulevard cruiser to a remarkably firm, flat-cornering road car. You'll still feel some flatness from the electric power steering, which doesn't give you the same feedback as a good mechanical system--though the A3 still offers good maneuverability and a combination of crisp response at low speed and good stability on the highway. The 2013 Audi A3's materials and style put in firmly in luxury territory, but tight quarters and road noise betray its age. It may be the oldest model in Audi's lineup--and the cheapest, too--but the 2013 Audi A3 hardly screams "cost cutting" when you get in and sit down. The materials have a premium look and feel, and controls are solid and well laid-out, and it feels throughout like a smaller Audi rather than luxury laid over a small-car base. Seat upholstery is leather on the seating surfaces, and the seats are comfortable--though a few test drivers have grumbled that they could be better bolstered at the sides to hold driver and passengers in place during energetic driving. The seating position is low, which can pose problems for short drivers and challenges getting in and out for older ones. Cabin space is confined, with a barely acceptable rear seat where two adults will only readily spend time if they're on the smaller side and front-seat passengers are willing to slide their seats forward a few inches. There's been a lot of bracket creep since the Audi A3 hit the streets, and many "compact" hatchbacks today sport far more interior space for both people and goods. Load-bay storage space is also disappointing, a bit less than 20 cubic feet with the seats up. That space doubles if you fold down the 60/40 split rear seatback, turning the little A3 into a practical two-seat goods hauler. The other area where the A3 now shows its age is the intrusion of road noise, especially on coarse pavement, into the cabin. It combines with tire hum from the low-profile tires to make the car louder than the best of its class. And if you choose to forgo the optional magnetic ride system, the ride quality can get stiff and transmit pavement imperfections from all but glassy-smooth surfaces. 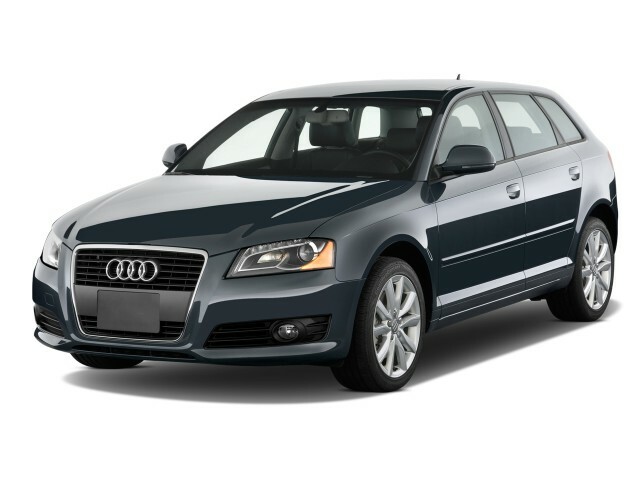 The 2013 Audi A3 comes with excellent safety gear and the highest rating from the IIHS. The National Highway Traffic Safety Administration (NHTSA) hasn’t tested the 2013 Audi A3 since more stringent crash-safety test standards were instituted last year, but the Insurance Institute for Highway Safety has. The IIHS gave the A3 its highest rating of ‘good’ for crash tests covering frontal offset, side, and roof impacts. The A3 comes with eight airbags: not only front driver and passenger bags, but front-seat side-impact, full-length head-curtain airbags, and rear side-thorax bags as well. Stability control, anti-lock brakes, and a host of other electronic systems are standard, and the optional quattro all-wheel drive adds a measure of traction for winter driving. Other safety features include three-point safety belts with pre-tensioners, pinch protection for passenger compartment windows, and one thing we wish all carmakers would provide: a hill-hold assist that locks the brakes when the car stops on a slope, to prevent it from rolling backwards. The base 2013 Audi A3 comes in under $30K, but option cost mounts speedily--and Bluetooth is extra. While its base price is below $30,000, it's fairly easy to push a 2013 Audi A3 up to the $40,000 mark with a lavish hand on the options sheet. It comes well-equipped for the small luxury segment, but the niceties will cost you. Even in the base trim level--confusingly called "Premium"-- the A3 comes with 17-inch alloy wheels, leather seat upholstery, daytime running lights, a leather-wrapped steering wheel, dual-zone climate control, and a 10-speaker (yes, 10 speakers!) stereo. The "Premium Plus" trim level adds LED running lights with xenon headlamp bulbs, steering-wheel controls for audio volume, audio seek, and Bluetooth phone connectivity, a power-adjustable seat on the driver's side, and ambient lighting inside the cabin. Annoyingly, Bluetooth hands-free connectivity can only be ordered as part of a $600 Bluetooth "Value" Package on the base A3--although virtually any new compact car now offers it as standard, including those that start at half the price. It's standard as part of the "Premium Plus" trim level, though. The lengthy options list includes a Sport Package that's more than appearance (it also includes a sport suspension) and an open-sky sunroof. The high-end Bose audio system and navigation options are popular, and even an iPod integration kit will cost you a bit--a feature we hope and trust will be standard on the 2014 A3 replacement. Both engines in the 2013 Audi A3 deliver decent fuel efficiency, but the TDI diesel is truly a standout. As the smallest Audi, the 2013 A3 is relatively fuel efficient. But its the TDI turbodiesel variant that really delivers the goods, with a combined 34-mpg EPA rating that many owners say is lower than their real-world daily average. 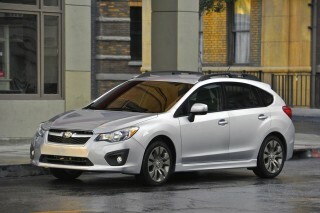 It's made up of a 30-mpg city rating and a remarkable 42 mpg on the highway. Our editors once logged 45 mpg in steady highway use, an almost unthinkably high number for a German luxury vehicle that holds four people. In steady stop-and-go traffic, we saw 30 mpg and better. The regular 2.0-liter turbo gasoline engine is rated at 24 mpg combined when ordered with the S tronic dual-clutch gearbox and front-wheel drive. The quattro all-wheel drive option cuts your city mileage by only 1 mpg, so there's very little penalty for the improved performance and safety of powering all four wheels. Looking for a different year of the Audi A3?